5 Things I Want Now!!! Well it's that time again. I've been obsessing over a TON of items nowadays...which is the norm for me whenever there is a change of season. You know, it coincides with the wave of new arrivals in stores, LOL. 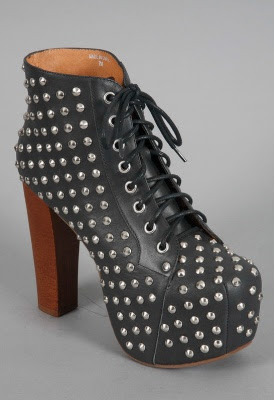 I tried to avoid this trendy little heel but you guys know that I'm addicted to studs.....it's the call of my inner biker/rocker persona. I am in LOVE with this skirt. 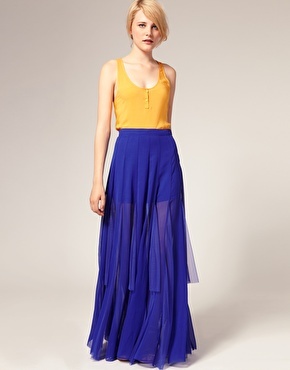 I know it will be challenging to rock this because I am definitely vertically challenged, but I must have this skirt. Blue is my favorite color and that initial design aesthetic really drew my eye. Then, the light and soft fabrics that comprise this skirt are an added bonus for me in my perennially hot locale. How hot is this ring??? I'm not a huge fan of gold but it certainly makes a statement when done right. 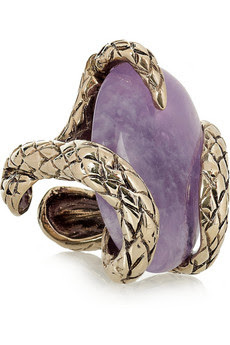 This ring is very regal and I love how bold the design is. Haute! 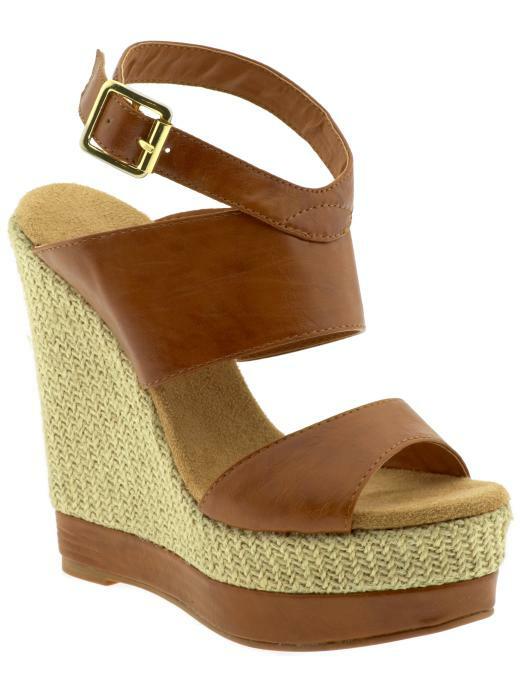 I need a comfortable wedge for all the traveling I will be doing this summer. I can't pack a ton of items so I need a versatile heel as well. What works better than a neutral/brown shoe for summer? This affordable romper pops with its rich red hue. I love the matador effect with the fabric hanging over one shoulder. It's really stylish and looks light and comfortable. It must be an addition to my wardrobe ASAP!!! What do you guys think of my wanted items?